The Hockey Shop Club’s Dinger Twig hockey stick looks to offer hockey players a high-end, lightweight, performance-focused hockey stick without the corresponding cost—and mostly achieves these objectives. Read on for more info. 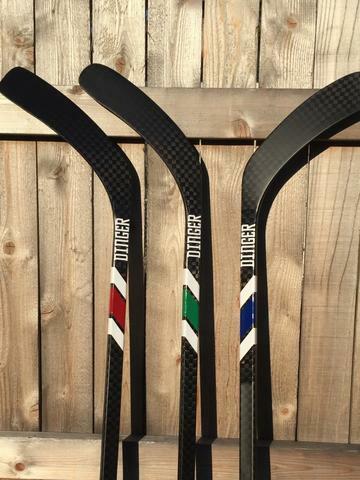 The Dinger Twig is 100 percent carbon fiber and comes in at 430 grams—which is just about in line with most other top-end hockey stick (for reference, the Bauer Supreme 1S and Nexus 1N come in at 422 grams and 424 grams respectively). The stick features a mid-low hybrid kick point and a 12k carbon weave construction for added durability. 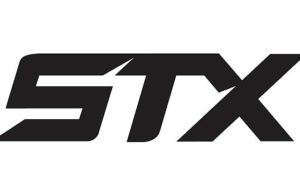 The stick’s design is pretty basic, with a mostly black shaft and some striping toward the bottom of the stick in the slash zone. Interesting enough, the Hockey Shop Club offers color customization on the striping to help match team colors, with 25 different color options available to choose from. Players can also choose from four different senior flex options, ranging from 67 on the low end to 97 on the stiff side, and five different popular blade patterns—including Stamkos (Stammer), Ovechkin (Oh Vee) and Kane (Cane). I first tested the Dinger in a situation where I had a chance to compare it to several other top-end hockey sticks from name-brand manufacturers. 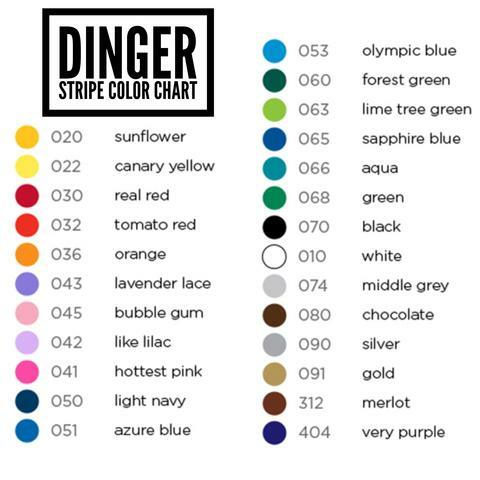 Surprisingly, the Dinger competed well with many of the other offerings despite being half the price. There were two things that immediately caught my attention with the Dinger: how light the stick felt when I got it in my hands and how good the feel for the puck was with the stick. In terms of weight, like I mentioned before, the Dinger falls right in line with two of Bauer’s top-end hockey sticks, coming in just a few grams heavier. The difference is negligible—even when I was using it against other top-end sticks to demo. As for puck feel, the Dinger Twig offers pretty solid performance in this area. I find that puck feel is really an area that sets sticks apart. There were other sticks I tried in comparison to the Dinger that gave me a better handle on the puck, but not many, and the Dinger Twig certainly wasn’t far behind in terms of overall stick handling performance. Shooting was actually the area where I was least impressed—especially considering that the Hockey Club Shop calls out that the stick’s concave shaft construction helps the puck explode off of the blade. I actually felt like the stick lacked some “pop,” and felt a little stiff on shots. This was much more apparent on slap shots and snap shots than wristers. In fact, wrist shots came off pretty smoothly and were well placed in terms of accuracy. I spent a lot of time testing the accuracy of the stick and was pleased with its performance. In game play scenarios, I experienced much of the same findings—puck handling was good, the stick felt solid in my hands in terms of durability, passing was solid, and I felt like the stick lacked a little bit of “pop” on shots from the point. Some of the newest hockey sticks on the market have reached the $299 price point—which is basically a car payment. 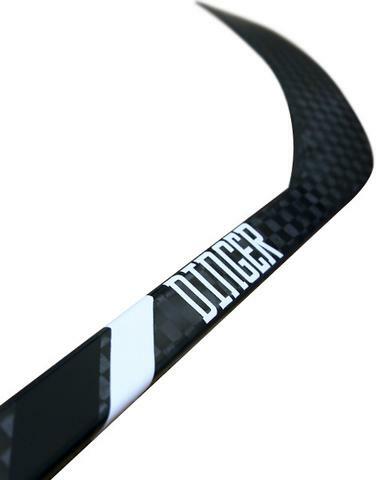 With a price tag of $139, the Dinger Twig from Hockey Club Shop gives rec league players access to higher end performance for a lower cost. Higher caliber players will likely be more cognizant of some of the stick’s flaws, especially when compared to other top-end products, but for the average player looking a strong-performing stick without the corresponding price tag, the Dinger Twig is a good option.